With an increased overall width, the Maxi Plus Walker is ideal for users up to 220 kg. 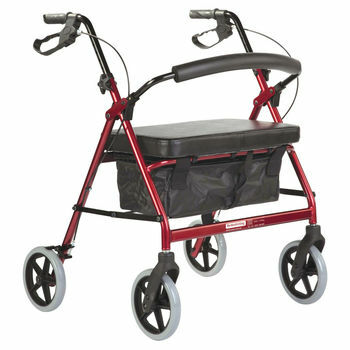 The Maxi Plus Walker is suitable for users of up to 220 kg. Alloy frame construction makes this wheeled walker comparatively lightweight, significantly increasing stability and durability.